Nathalie Ogando sits with her adopted cousin, Lean Martinez, 5, after she was adopted during a ceremony in an adoption court Nov. 20, 2015, in Miami. National Adoption Day is Nov. 18. Do you have any real children? When did you rescue her? Can you tell me about your adoptive daughter? Many adoptive families hear questions like these all the time. While the people who ask them often mean well, their words can be hurtful. "Most of the time, people are not malicious, they're just curious. But there's a lot of power in the language that people use. Words matter, especially for children," said Lisa Dominguez, the director of clinical services at C.A.S.E., the Center for Adoption Support and Education. Speaking ahead of National Adoption Day on Nov. 18, Dominguez advised people who want to support adoptive families to listen. "Defer to them and follow their lead," she said. "Just like anything, if it's something you haven't experienced, it can be hard for you to know." Don't give adoptive families unsolicited advice, either, she said. If a child has a history of abuse or neglect, the parents' techniques can be different from those of other parents. Don't judge, Dominguez said. "Real parent": Asking someone about their "real" parent, family or child can be hurtful. "There's no such thing as a 'real family' or a 'fake family.' There are just multiple kinds of families," Dominguez said. "Adoptive child": Instead of asking someone about their "adoptive child," just ask about their child. Why make someone feel like a child they adopted is less important than one they had through birth? "Rescuing" a child: Language like "rescue" is better suited for animals, not people. 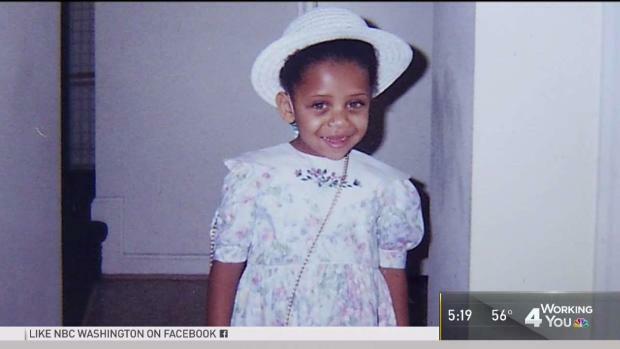 Judge Beverly Woodard spoke with News4's Barbara Harrison about how adopting her daughter changed her life, and how she now helps other adoptive families. "Gotcha Day": Many adoptive families celebrate the day a child was adopted, and some have begun calling it the child's "gotcha day." Dominguez said she respects other families' wishes but that she is personally not a fan of the term. "It feels somewhat casual. To me, it feels like a possession, as opposed to a child." Educate others about adoption in general. C.A.S.E. has taught the program throughout the United States and also in England, Scotland and Australia. It perhaps needs to be adapted for different cultural contexts. "The British families think walking away is very rude," Dominguez said.